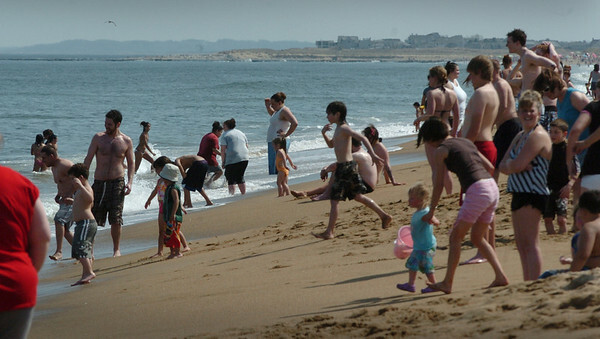 Salisbury: Salisbury Beach was crowded as temperatures soared into the 90's with many New Hampshire license plates spotted as schools are on vacation in the Granite State this week. Temperatures return to normal with some precipitation possible at week's end. Bryan Eaton/Staff Photo Newburyport News Tuesday April 28, 2009.